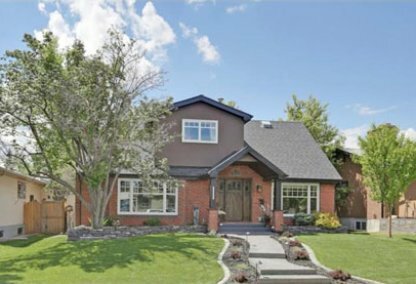 See today's Lake Bonavista homes for sale & South Calgary real estate listings below. Lake Bonavista is Calgary’s first community to have man-made lakes. In this south zone community residents enjoy the recreational opportunities of Lake Bonavista and Lake Bonaventure. Bound north by Anderson Road, east by Lake Bonavista Downs, south by Canyon Meadows Drive and west by Macleod Trail. Lake Bonavista housing market statistics: As of April 18, 2019 there are currently 66 properties for sale in Lake Bonavista listed as active, with an average asking price of $750,539. The highest-priced property is $2,650,000; the lowest priced property can be purchased for $180,000. Lake Bonavista neighbourhood listings have an average price of $433 per square foot, based on listings with 3.6 bedrooms, 3.0 baths, and 1,651 square feet of living space. Purchasing a home in Lake Bonavista? Call 403.217.0003 to reach your local Lake Bonavista real estate team, Justin Havre at RE/MAX First. Our local experts will offer guidance to help you through the Lake Bonavista real estate market. The location is incredible providing easy access to all parts of the city. The close proximity to the LRT gives students a convenient way to get to SAIT, ACAD and the University of Calgary. The community has plenty of schools, both separate and public as well as two shopping strips. More shopping facilities and restaurants as well as professional buildings can be found along Macleod Trail. The Lake Bonavista Community Association sponsors a variety of sports activities from soccer and hockey to yoga plus a large selection of classes. Families can take advantage of the skating rinks while sports enthusiasts can enjoy the local fitness studio. The nearby Family Leisure Centre has a range of recreational facilities including a wave pool. The neighbourhood offers parents buying a home in Lake Bonavista Estates several schools which are in close proximity to the residential dwellings. The St. Boniface and Lake Bonavista elementary schools are the closest along with the Nickle Junior High School. One of the major senior high schools in the area is Lord Beaverbrook. West Island College is a short distance away while University of Calgary, SAIT and ACAD are easily accessible via LRT. Thinking of buying or selling a home in Lake Bonavista? Let our local real estate agents help guide you through the purchase of your next home, or to expertly negotiate the sale of your current home. 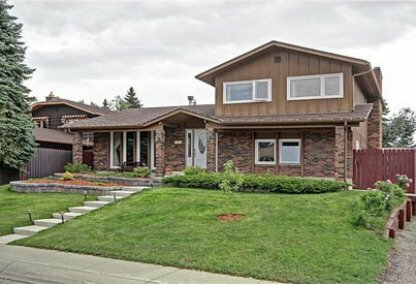 As local Lake Bonavista real estate agents, we're experts on the market dynamics unique to Lake Bonavista real estate. We'll get to work for you today! Contact Justin Havre at RE/MAX First to learn more about buyer or seller representation. Planning to sell your Lake Bonavista home? Check out our free home evaluation, where you can instantly price your Calgary home online in minutes!